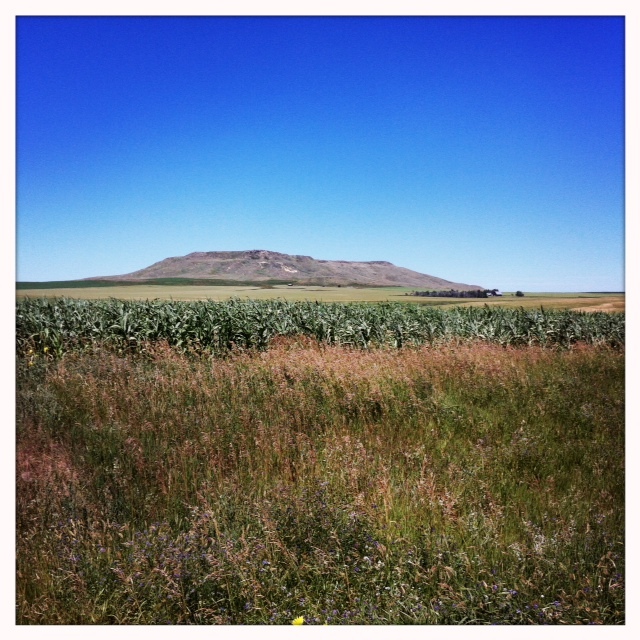 I’ve mentioned my rural roots here in previous posts, but for those of you that are new to Relishing It, I grew up on a small dairy farm in western North Dakota. And I still get terribly homesick from time to time. So this is one of those recipes that reminds me of my childhood, and helps me cope with being away. It’s strange, even though I’ve spent more of my life away from Regent ND, it still has my heart. It’s still my home. One of the hardest parts of growing older is wanting those comforts of the past, but coming to terms with the fact that they’ll never again be as you remember them. It’s the double-edge of nostalgia, I suppose. I miss being that carefree kid running around the farm. I miss seeing my childhood friends. I miss regularly seeing my aunts, uncles, and cousins. And I miss talking with my grandparents, who have all passed away. When I was a teenager, I worked at the museum in town during the summers. On my lunch breaks I would venture up to my grandparents’ house for lunch. My grandma would always make sure to have something ready for me and the three of us would eat together and talk about our lives. Even then, I really did realize that it was a special time and that one day I’d look back on it with a mixture of longing and gratitude. My grandparents (on both sides of the family) were real salt-of-the-earth people. They were hard-working, no-nonsense, and very kind. I’m so lucky to have had them in my life. So many of my interests now are things that they did and were interested in– preserving, fermenting, gardening, sausage-making, and even distilling alcohol. The conversations we could have! The soup I’m sharing with you today is based on a soup that my Grandma Jesch used to make for me on some of those lunch breaks. I only have the memory of the flavors to go off of, but I think this is a pretty good representation. 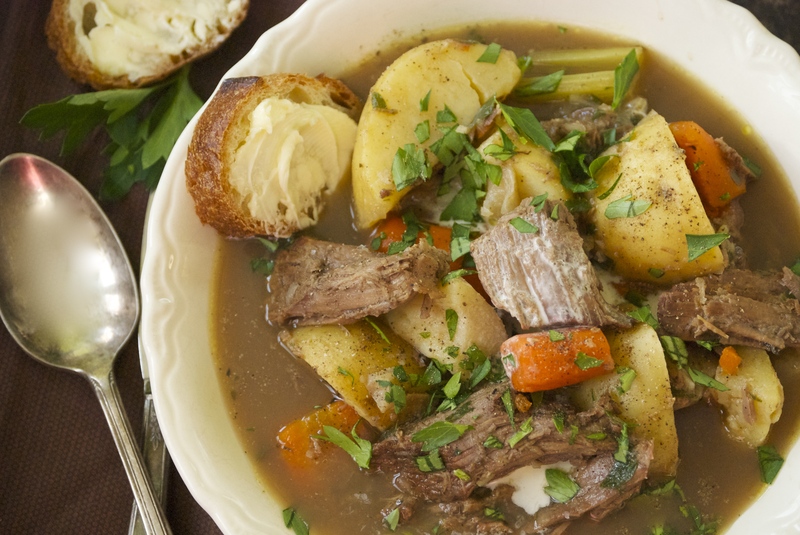 She would often simmer an entire beef roast for hours, and then turn it into this most amazing, hearty soup. 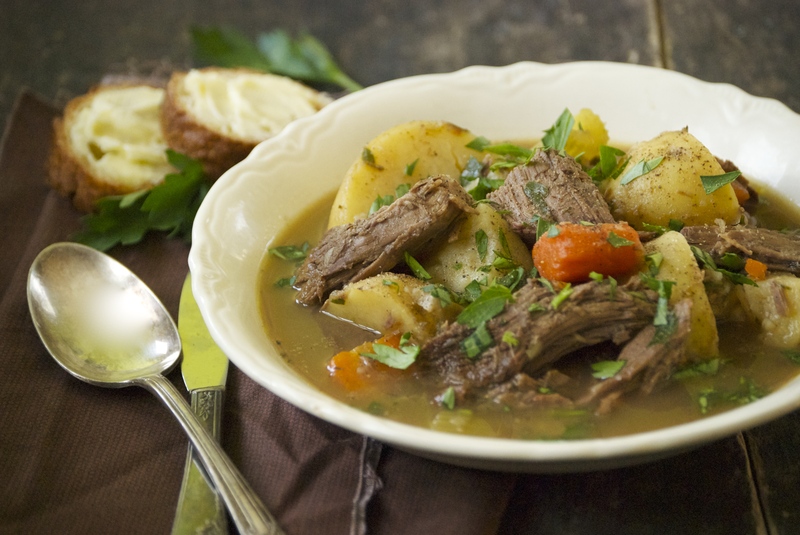 It has chunks of tender beef, along with root vegetables. But, the flavors I remember most are the warm spices. There was a hint of something unusual that drew me to this soup whenever she made it– cinnamon, star anise, and allspice are what I figured they might be– and here they work beautifully. Also, you’d be a fool not to finish this dish with a splash of cream. Hope you enjoy! Heat a large Dutch oven with olive oil in it. Season the beef with salt and pepper. Sear all sides of it until a deep golden color develops. Remove beef from the pan. Add the onion and garlic to the hot pan and sauté for a few minutes until tender. Add the beef back to the pan, along with the beef stock, water and the spices of cinnamon, star anise, allspice, thyme, and bay leaf. Bring to a high simmer, then reduce heat to medium, cover and let simmer for about 2 1/2 hours or until the beef is somewhat tender. Next, add the celery, carrots, and parsnips to the pot and simmer until the beef is fully tender, or practically falling off of the bone, another 30-45 minutes, or so. Then, add the potato chunks and cook for about 20 more minutes until they are tender. Meanwhile, remove the beef from the pot and separate it into chunks using a fork– removing any visible fat, as well. 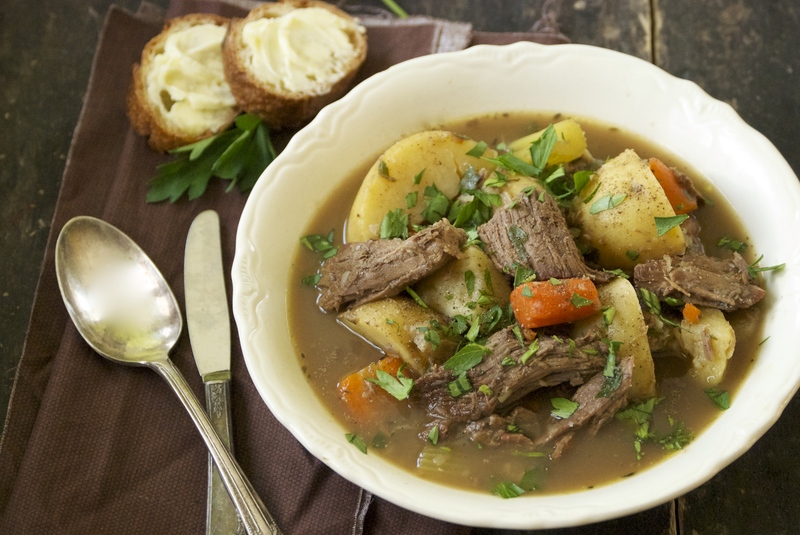 Return the pieces of beef to the pot when the potatoes are completely done. Re-season with salt and pepper. Remove and discard the star anise, cinnamon stick, and bay leaf. Sprinkle with freshly chopped parsley and a splash of cream before serving. Enjoy! Another Monday is here. Another weekend blew past far too quickly. I keep waiting for life to slow down– just a bit to let me catch my breath– but with two small children I’m trying to accept the fact that it’s not going to happen. I know, I know. It’s only going to get busier as they both grow and start school activities. Even after a few years, I’m still trying to wrap my head around the pace of it all. I think that is one of the reasons I enjoy being in my kitchen for those short stretches of free time. It’s calm. And I get to determine the speed of most things. There’s a relaxing orderliness to cooking and baking that I can control. Of course, it’s also rewarding to get to sit down at the dinner table with my family every night. So those brief, tranquil cooking times in the kitchen have the added benefit of putting life into perspective. It’s these little things that help paint the much bigger picture. During one of my sabbaticals to the kitchen the other day, I made this soup. I was interested by the fact that it combines two atypical soup ingredients. 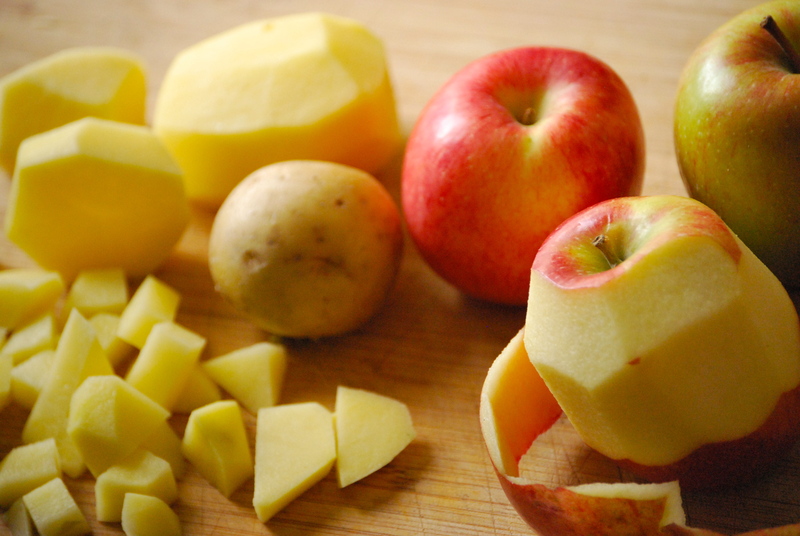 Apples and mustard. Intriguing, eh? I thought it would all come together when I read about the smoked ham shank. And my hunch was right, though that doesn’t do this recipe justice. I figured it would be good, but I wasn’t prepared for just how delicious– and unique– this soup really is. I’ve never had another with flavors even remotely similar to this one. And that’s a good thing. It wasn’t overly sweet, despite containing both apple cider and chopped apples. As for the Dijon mustard– wow! It’s the star here, adding a brilliant tang. And though making the ham stock took a few steps, it was so worth it. It’s a perfectly salted and smokey canvas for the other ingredients. 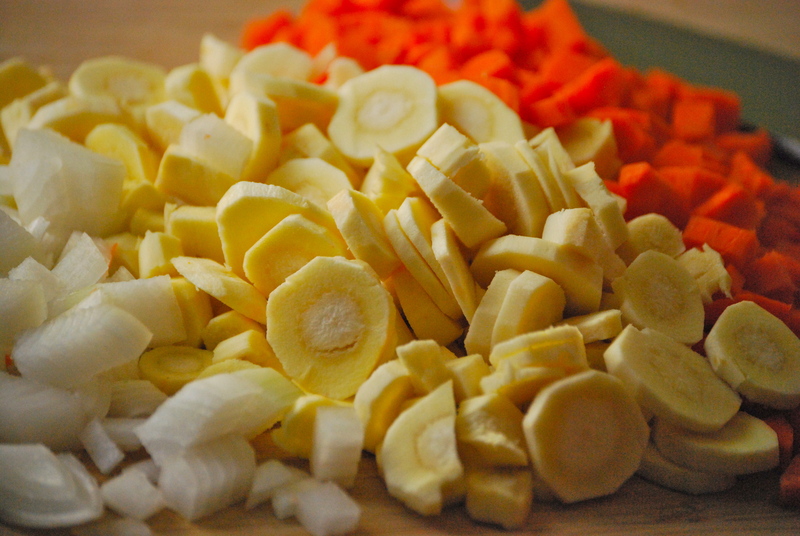 Once you have the stock prepared, the soup comes together in minutes, so it’s easy to prepare ahead of time. 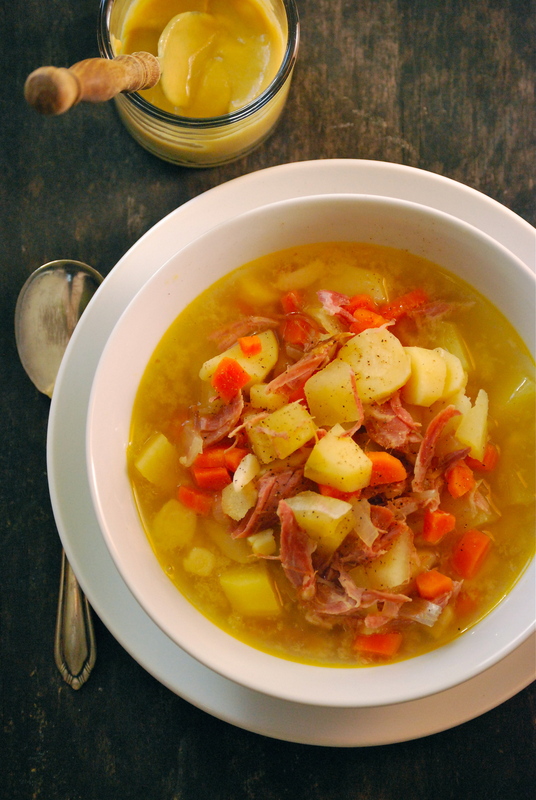 If you get a chance to sneak away to your kitchen this week, make this soup. I was so happy I did, and you will be too. To make the stock: In a large stockpot or Dutch oven, combine the ham shank, 3 quarts water, apple cider, garlic cloves, and 1/2 white onion. Simmer over medium heat for about 3 hours or until the ham is tender and falls off of the bone. Remove the ham shank from the stockpot and place on a plate, pull the meat off of the bone and set aside; discard the bone. Discard the garlic and onion. Reserve the cooking liquid — you will need two quarts. Skim the fat off of the ham stock using a ladle. Discard the fat. To make the soup: Heat the olive oil in the Dutch oven over medium heat. 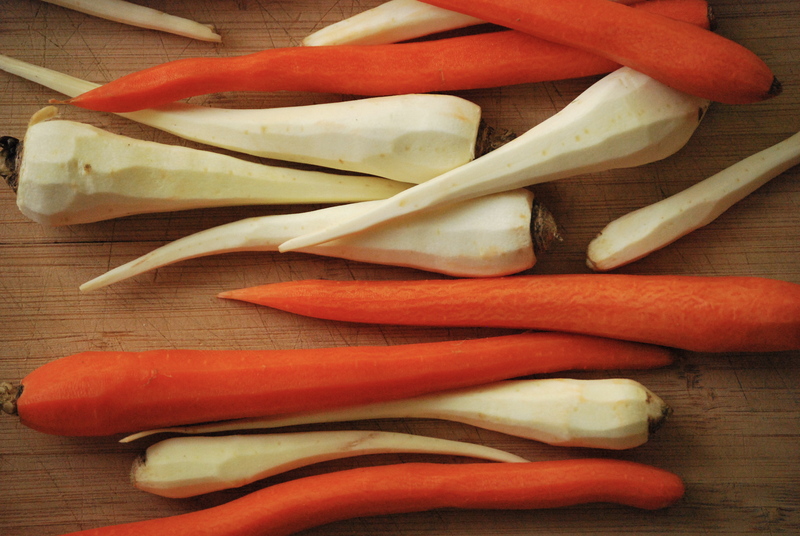 Add the carrots, parsnips, onions, and garlic and cook a few minutes until soft and tender. Add the potatoes, garlic, apples, ham, and reserved liquid and cook until the vegetables are tender, about 10-15 minutes. Stir in the mustard and season with salt, if necessary. Enjoy! So glad that you stopped by Relishing It today — hope you enjoy this soup!